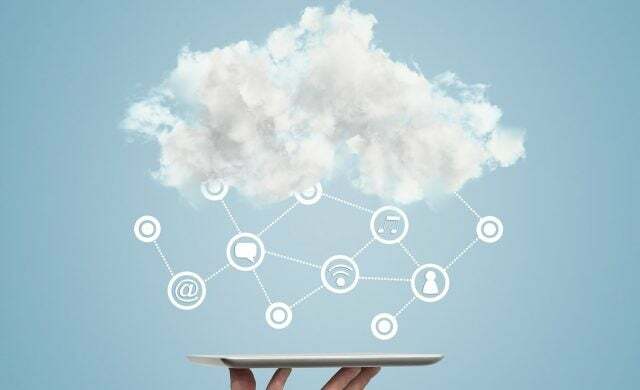 Celebrated for its convenience and cost-effectiveness, the cloud enables businesses and their employees to store and edit files, communicate with clients and access crucial software no matter where they are in the world – so long as they have an internet connection. With the cloud connecting businesses to a seemingly infinite network remotely, office space, budget, workforce size and employee skill level no longer have to be limiting factors in a company’s growth. Not to mention that businesses who embrace it will likely function more smoothly, operate more flexibly and save the cash that would have been spent on hard drive and server maintenance. So, whether you need to train employees, collaborate or check your cashflow, it’s wise to use the cloud – but with so much capability on offer, which of your business’ functions should you move over first? Your business isn’t going to achieve much if you don’t have a productive workforce. Productivity software such as Microsoft Office 365 and G Suite can help a disparate workforce communicate and work on important data and content from any location simultaneously. For collaboration and task management there are programmes such as Asana and Basecamp, while Evernote is ideal for creating to-do lists, storing photos, notes, audio clips, files and voice reminders. Producteev enables you to turn Outlook emails into actions in your calendar. Such software can automatically check and update its own suite of programmes, so everyone is using the same versions, and they offer different plans to cater to your business needs. As the administrator, you can add or remove users at your leisure. Not to mention that many of these come with apps – enabling employees to work on the go or in remote locations using their own portable devices. Creating a business can require reams of sensitive and important documentation and data. Storing it all on one device or piece of hardware can be problematic – if that device has a finite capacity, or worse breaks down, you’re going to face issues. Conversely, the cloud allows for secure and almost unlimited storage of files and data at very little cost. File hosting services such as Dropbox, Box, Google Drive and Microsoft OneDrive offer online storage for little or no cost depending on your needs. Data stored with such services can be accessed from any internet-enabled device, ensuring that it’s always accessible and you’re not going to lose it. But don’t panic – this doesn’t mean each of your employees will be able to look at all of your company information. Most services will enable you to control who is able to access and edit any shared files. If it’s cloud-based hosting and servers you’re looking for, the likes of Rackspace, Cogeco Peer 1, Amazon Web Services and many others will enable you to back up and manage your IT infrastructure. The cloud is not only helpful for sharing and editing documents; it also offers accounting software that mitigates the hassles of complicated and tedious financial admin. Oracle NetSuite’s cloud financials and accounting software is designed to streamline financial processes and operations, offering real-time access to live financial data. With a simple, cloud-based solution, you’ll be able to approach accounting with confidence (even if it’s not your strong point) and have more time to focus on running your business. Oracle NetSuite’s programs are targeted and tailored to small businesses, and so are designed with your needs in mind. You can check taxes, prepare invoices and keep track of cashflow – the lifeblood of any fledgling business. With a myriad of communication methods now available, for many modern businesses traditional phone and fax systems are either no longer convenient enough or simply not as cost-effective as other options. There’s no denying the importance of email to any small business, but while setting up an email system has historically involved the cost of a server and software licenses, the cloud can offer a low-cost alternative with no hardware or software required. Both Microsoft’s Office 365 (which offers Exchange Online) and Google’s Gmail offer far greater scalability and flexibility than server-based solutions. Using these, employees can access email from anywhere on the go. For business owners, there’s the benefit of no server maintenance and lower costs as well as easier disaster recovery. And it’s the same story when it comes to phone systems. Unlike static phone systems that are tethered to your desk, many cloud services offer an inclusive communication solution that can link multiple locations, employees and customers on one integrated system. Calls to the office can be re-directed to you or your remote employees, and all staff members can connect their own internet-enabled devices to their work number to take and make calls from home. Oracle NetSuite’s cloud business software suite is trusted by more than 40,000 organisations. Find out more about NetSuite here.